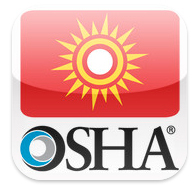 The Heat Safety Tool app from OSHA is a handy tool for calculating the heat index of your job site to determine protective measures for heat stress prevention. This smartphone app works by using your current location to determine the temperature and humidity levels, then calculates the heat index and displays a risk level for outdoor workers. Users can then read precautionary tips associated with the risk level, including replenishing fluids, taking the appropriate breaks, training for new employees and emergency panning and response. 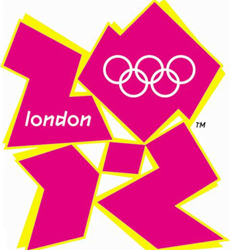 Going to the the 2012 Olympic Games in London this summer? Use these helpful tips to make sure your trip is a healthy and more importantly, a safe one. Some rare illnesses and diseases to the US may be common in the UK, so make sure your entire family is current on vaccinations. Especially if you are traveling with children, make sure they have their shots. Consult your physician to find out which vaccines you have had, and which ones you need. In the UK, vaccines are known as Jabs. 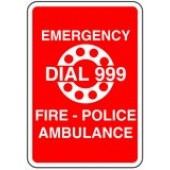 In the event you become seriously ill or suffer and injury, don’t dial 911 for emergency help while in London, call 999 and asked to be taken to the A&E (Accident and Emergency), not the ER. For all other minor cuts, scrapes, minor illness and more, visit a local walk-in center or pharmacy for help. Remember, your health insurance here in the US won’t cover you in London. Any medical expenses will be out-of-pocket. To locate a pharmacy or walk-in center, visit the National Health Service website, or call 0845-4647 (while in London of course). Travel health insurance will reimburse any costs you incur. Visit the CDC website for more healthy traveling tips this summer. Our selection of Fire Gloves has expanded to include Shelby Specialty Gloves, an industry leader in firefighting gloves and the top choice for professional and volunteer firefighters around the world. Shelby gloves deliver world class performance and hand protection during extrication, rescue, aircraft rescue, wildland and structural firefighting operations. Structure Gloves – NFPA or OSHA certified gloves made to perform at a high-level and meet the demands of structural firefighters. These gloves come in various materials that have fire retardant properties. Wildland Gloves – used by wildland firefighters, these gloves offer a high-level of cut and abrasion resistance, while providing excellent dexterity when handling fire tools, including chainsaws, rakes, shovels and drip torches. Proximity Gloves – made from aluminized PBI/Kevlar, these gloves protect against extreme radiant heat generated by burning fuels and other Aircraft Rescue and Firefighting operations. Extrication Gloves – these specially designed gloves have cut, puncture and abrasion resistant properties that protect firefighters and rescuers from sharp objects during extrication operations. They also have extra padding around the knuckles. Rope Gloves – specifically designed to protect your hands from injuries associated with rope rescue operations. Rope gloves have reinforcements built-into areas of the glove where rope is handled the most. Rescue Gloves – general purpose work gloves that offer excellent protection against cuts and abrasions. Shelby fire gloves come loaded with features including waterproof liners and flame resistant fabric liners that are breathable and sewn directly to the glove shell. These fire resistant gloves have the level of protection your firefighting application requires.